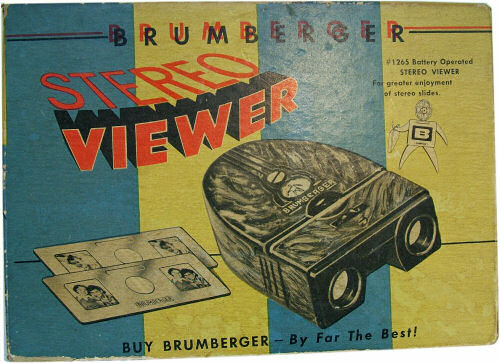 The Brumberger was manufactured by Brumberger Sales Corporation of Brooklyn, New York, USA in 1962. The viewer was plastic and used two 'D' sized cells. It was also focusable by means of a thumb-wheel. 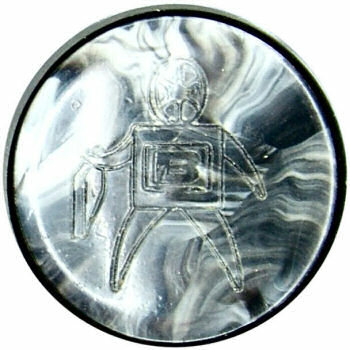 Underneath was a mounting point for a stand and the viewer was turned on by depressing a round button, on top of the viewer that carries the Brumberger little man logo. 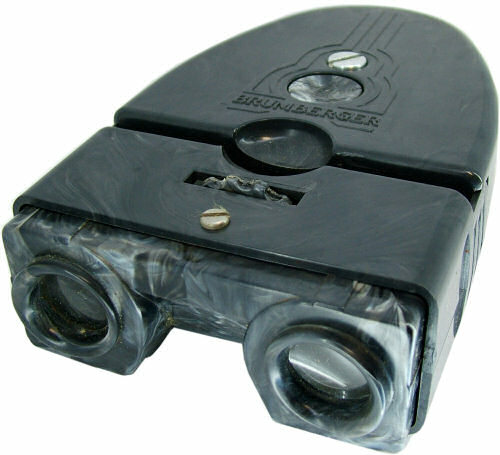 The viewer was designed to viewer Stereo Realist format slides and is amongst the best, giving extremely clear, bright views. The claim made on the box, "By Far The Best", is probably not far from the truth.